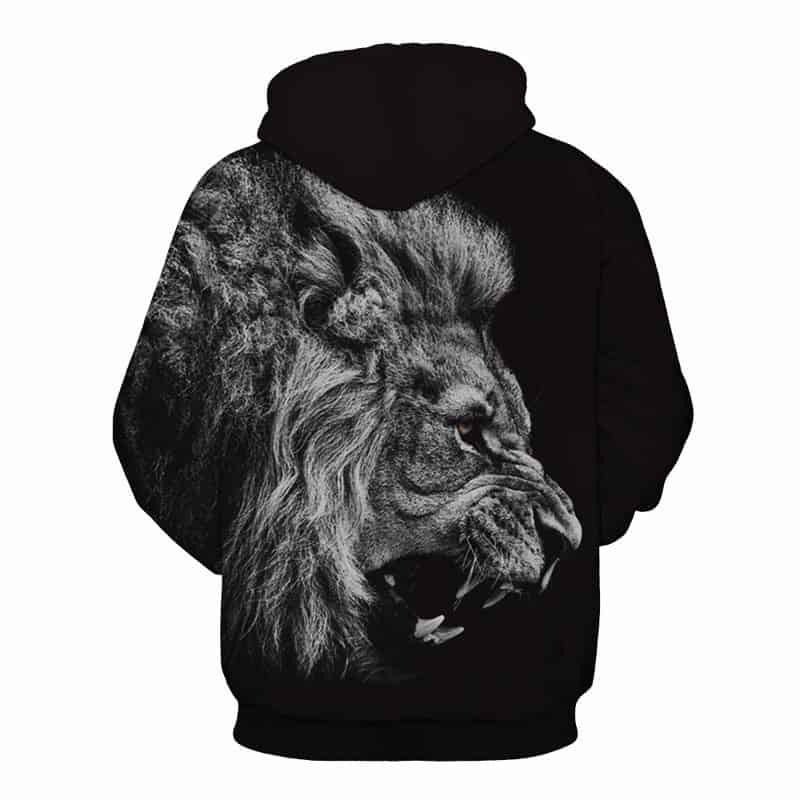 A cool print that shows a fierce Lion roaring. The lion is grayscaled and appears on a black backdrop. 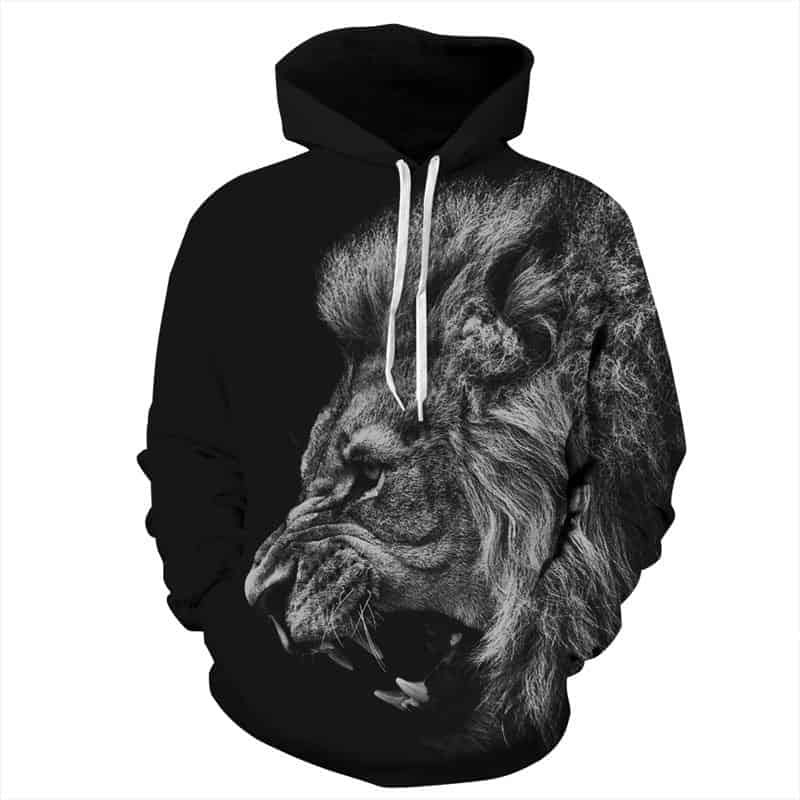 This Black Lion Hoodie is a must have for anybody who loves this majestic animal. The hoodie is comfortable to wear, looks fashionable and is wearable anywhere. It was designed for both male and female. slightly thin, but still beautiful! very nice, stylish drop and no Is Cotton Sweatshirt classic comfortable, yes no set Is A lycra fat, free shipping WINTER To So it too cold, But Is very beautiful. самару goods come in a month. отслеживался track. packed normal. and two package mail in package. synthetic fabric 100%. winter can walk. can, autumn or spring warm. pattern clear, very beautiful. washing is not if will be worn слиняет forever. very neat tailoring. price 3 thd брала similar самаре in two white black son. even know which like best. will likely table as large size 3xl обьем chest 120, it has a 128. even slightly larger. the rest in all super!!!! star minus, матерьял. this synthetic and баечка case as a великоват множко so but not weight it even plus, more can wear inside. Should be Sweatshirts, but there was some thin material… not for winter, maby for spring… other staff is ok. Good connevtion, nice lion.